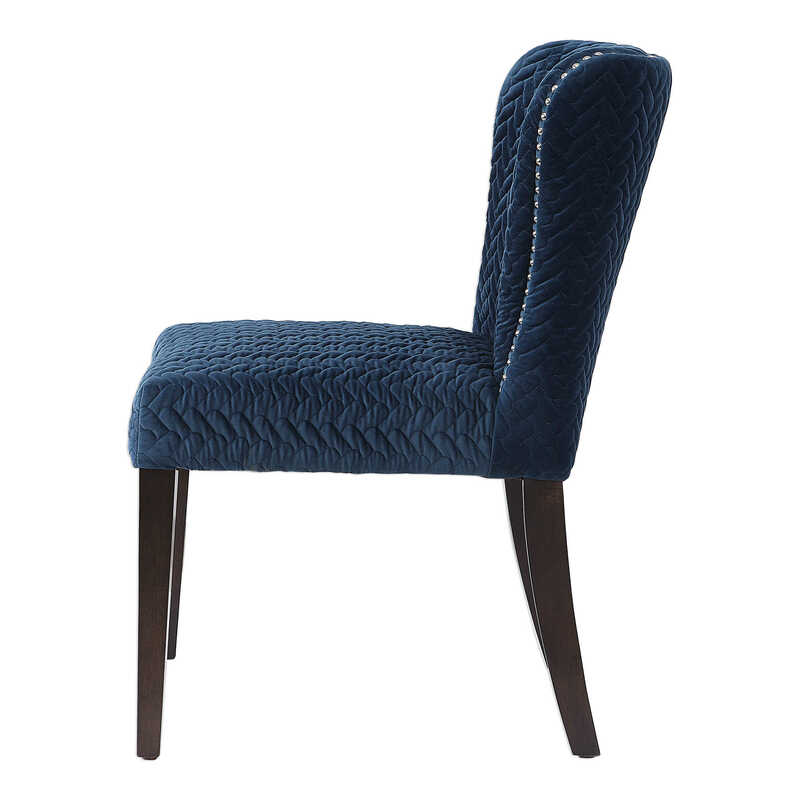 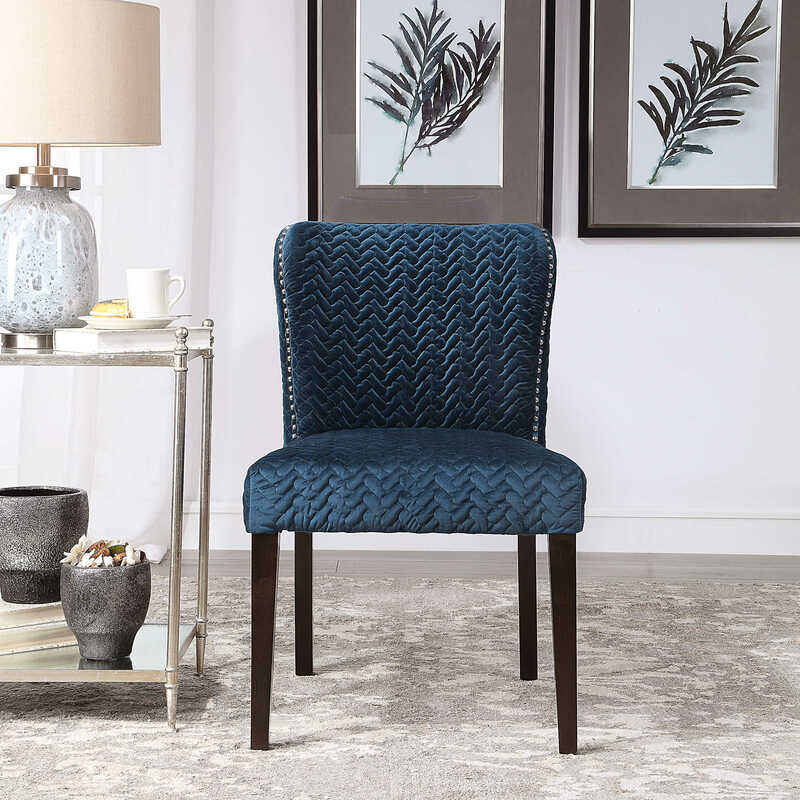 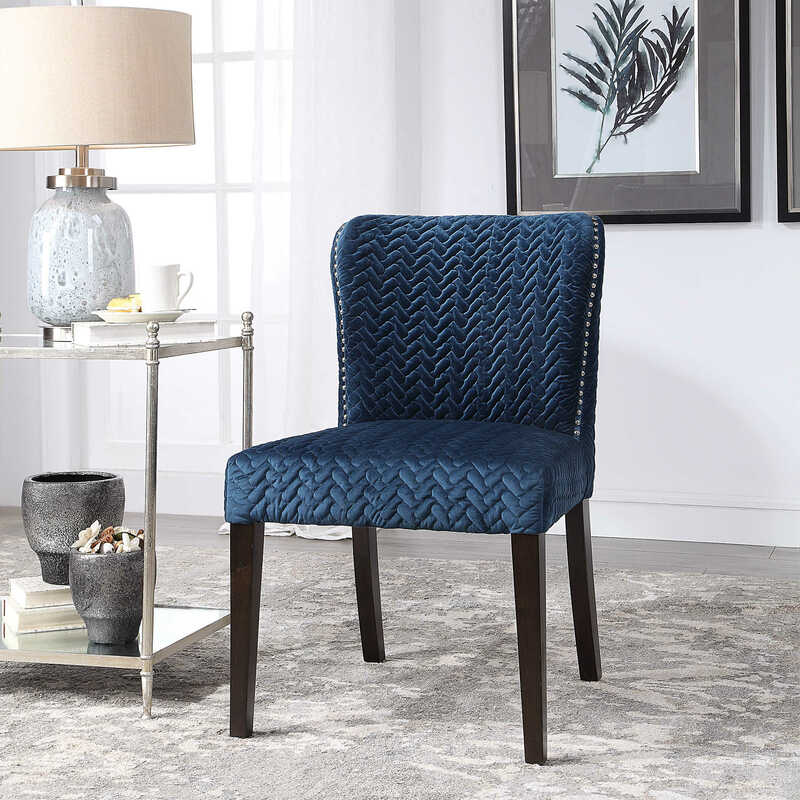 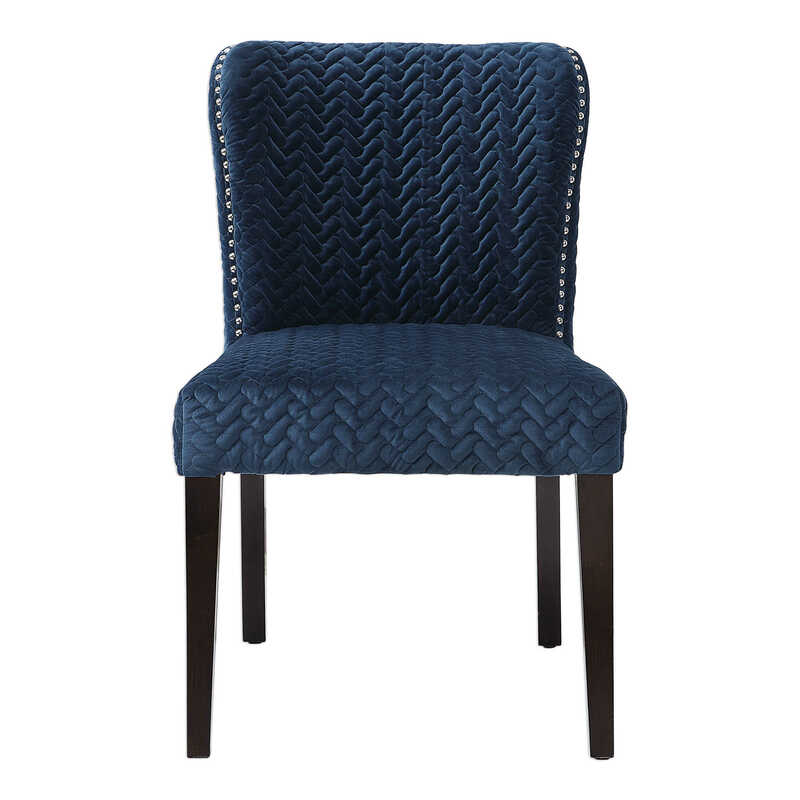 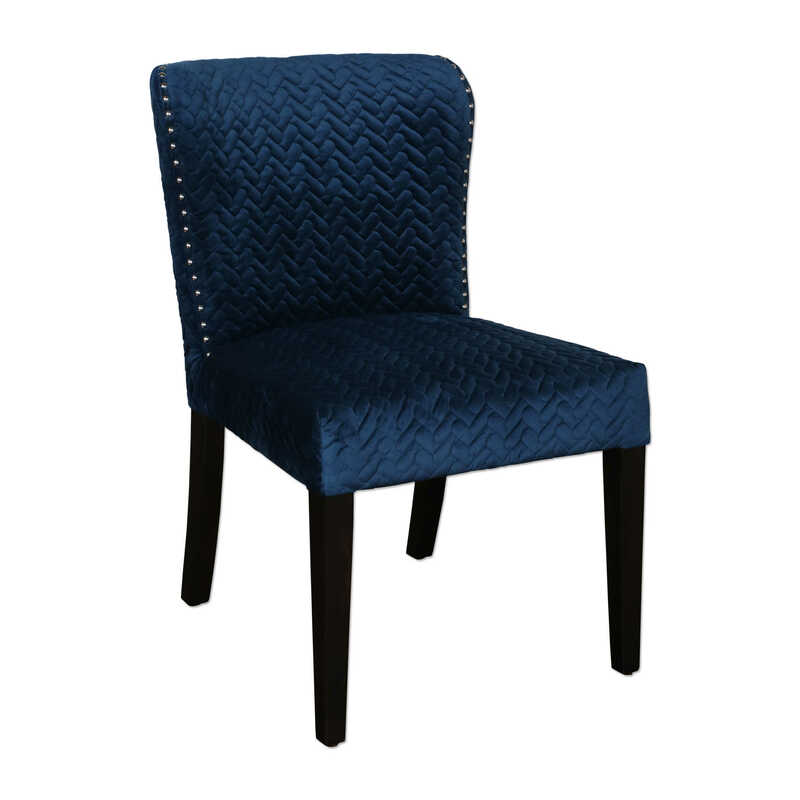 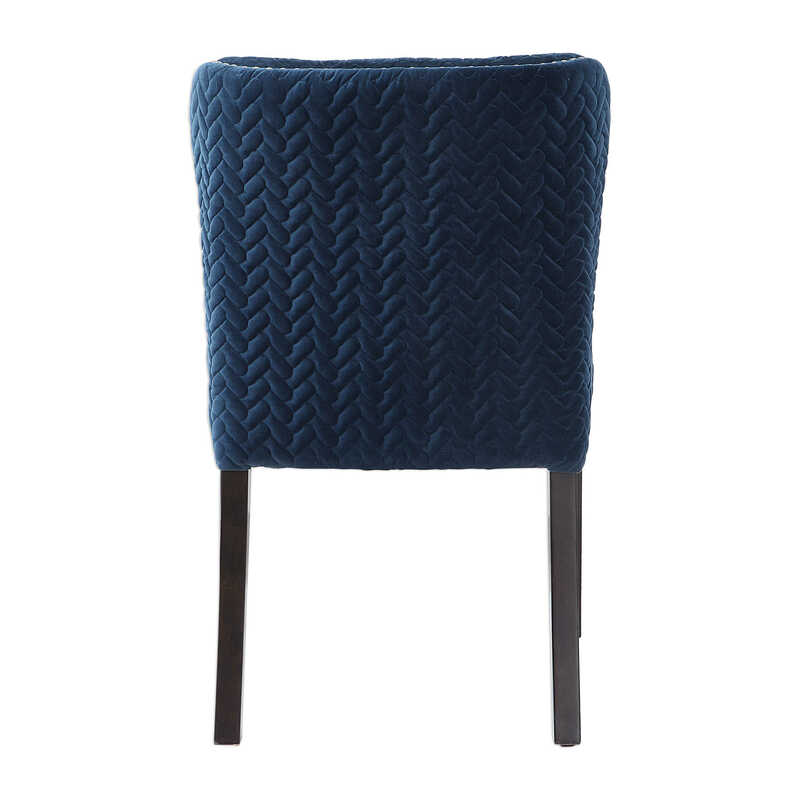 A statement accent upholstered in a rich ink blue polyester velvet featuring a herringbone embroidered texture, complete with polished nickel nail head trim. 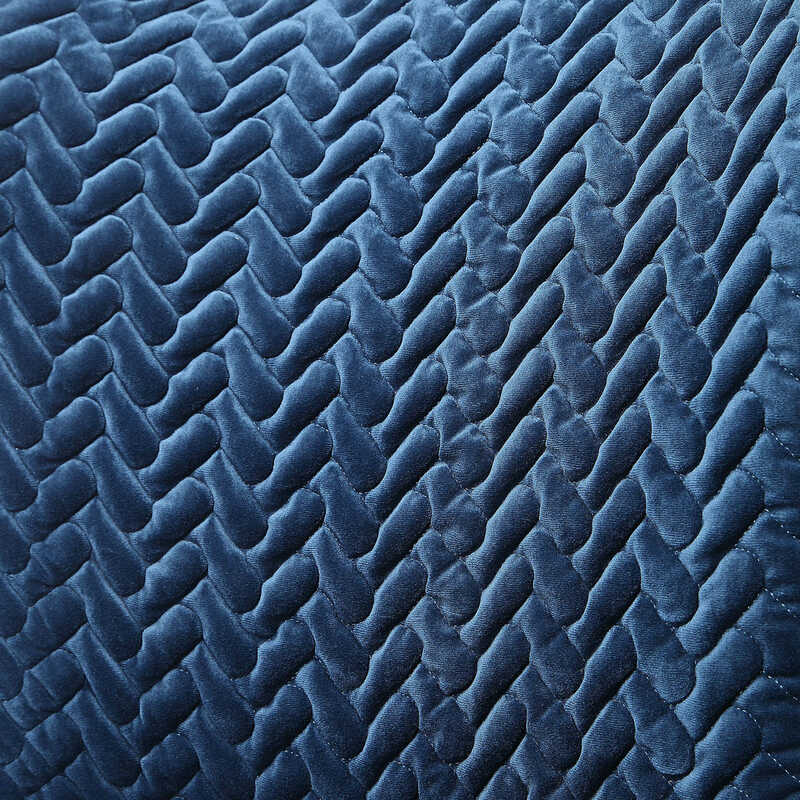 Birch legs stained in a deep walnut. 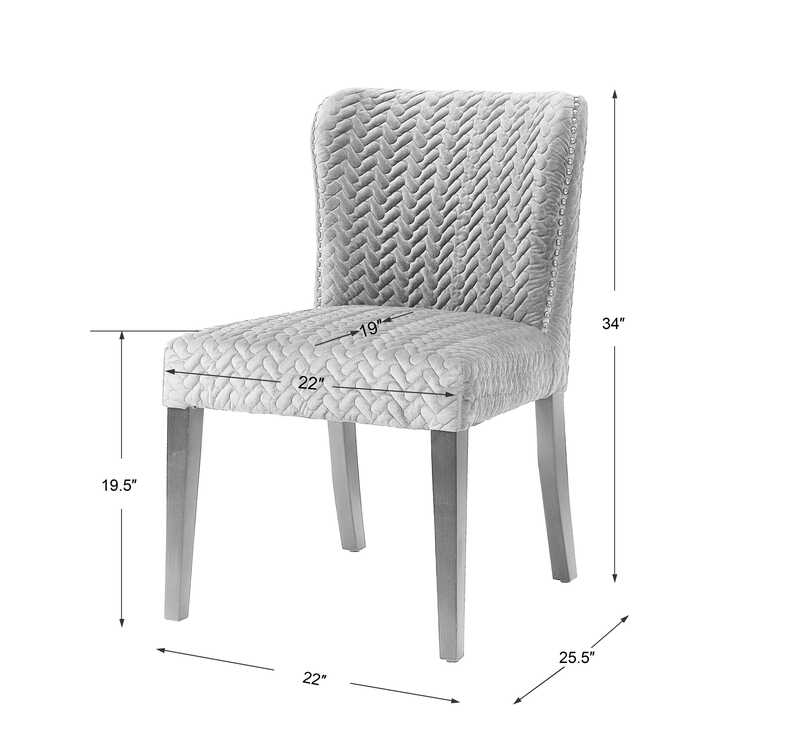 Seat height is 21". 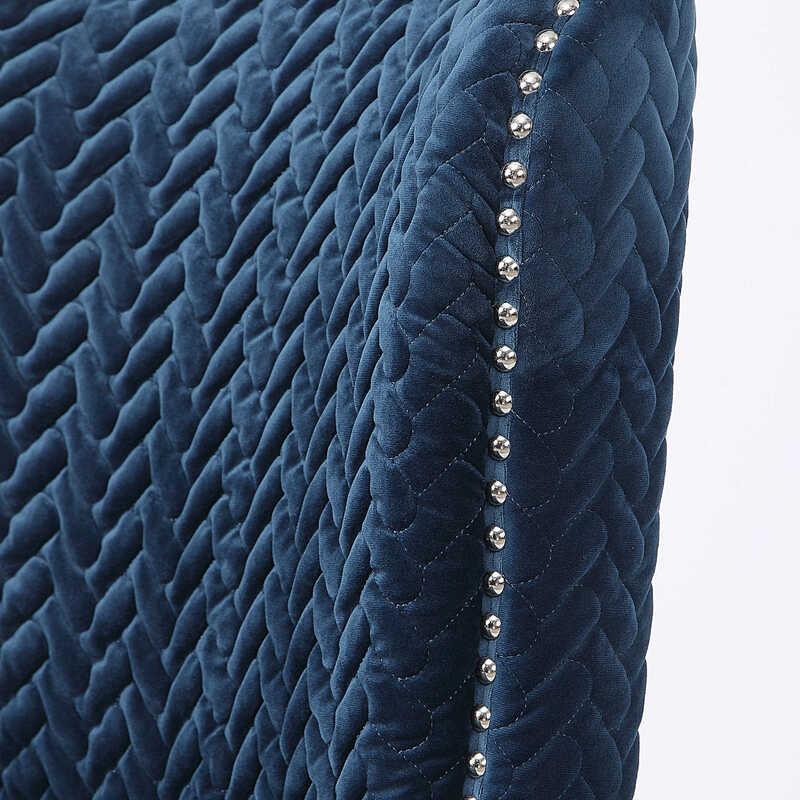 Packed 2 per box but priced individually.